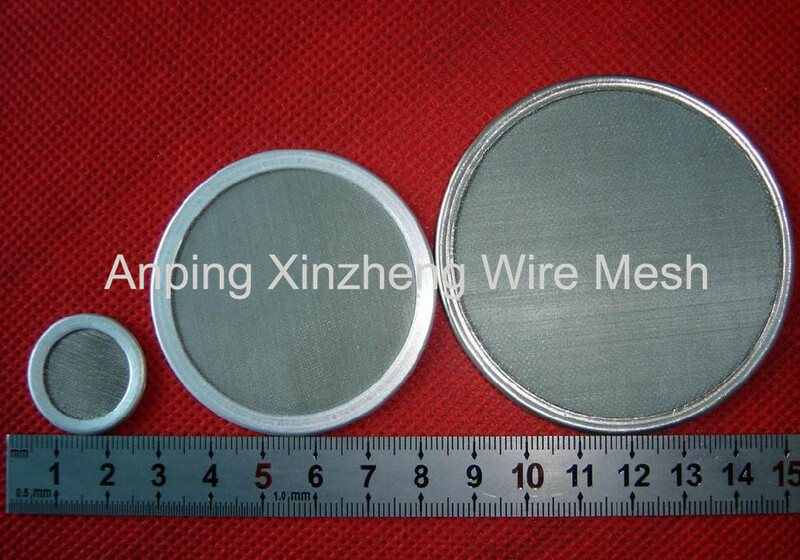 Metal Wire Mesh Filter Disc have many kinds of classifications. According to the filter discs material contain: black wire cloth filter discs, copper filter discs, galvanized steel filter discs, stainless steel filter discs.According to the production technology contain: perforated metal filter discs, expanded metal wire mesh filter discs and Woven Mesh Products filter discs. According to edge processing method contain: spot welding filter, edges wrapping filter. According to weaving types: plain weave filter discs, twill weave filter discs, dutch weave filter discs and so on. 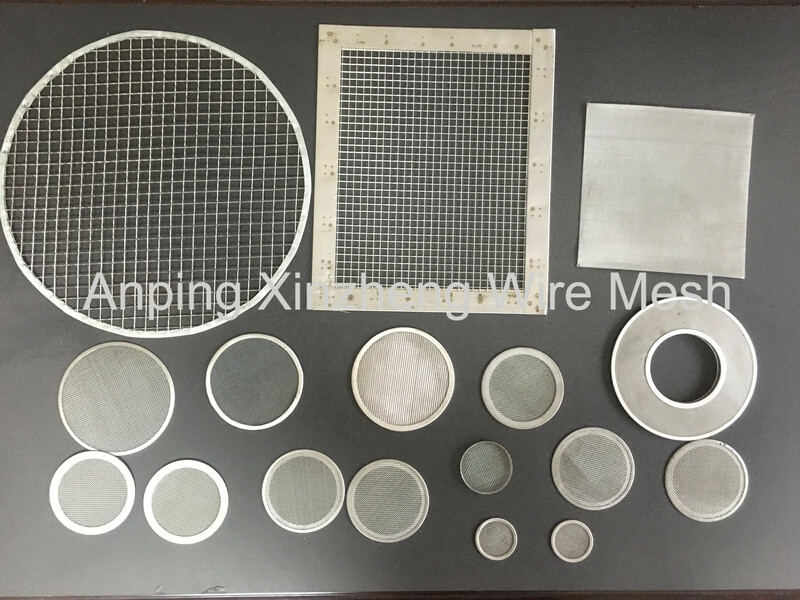 Xinzheng mainly produce Expanded Metal Mesh, Perforated Metal Mesh, Hexagonal Steel Plate Mesh, filter disc, Filter Tube, and Other Metal Mesh Products. Filter disc materials: black wire, stainless steel wire, copper wire, phosphor bronze wire, brass wire, galvanized steel wire, aluminum wire, etc. Wire diameters: 0.01 - 6.00 mm. Disc diameters: 5 mm - 600 mm (custom size: 8 mm - 3800 mm). Disc shapes: round (diameter 44 - 600 mm), ring (inner diameter 18 - 250 mm, outer diameter 50 - 350 mm), rectangular (length 60 mm - 400 mm, width 50 mm - 100 mm), crescent, semicircle, square, oval, abnormal shape, etc. Filter precision: 0.1 - 300 μm. Excellent anti-wear property and rigidity. Withstand high temperature and harsh work conditions. Easy to install, use and clean. Filtration of air: air conditioner, air regulator components, filtration of corrosive gases, etc. Filtration of liquid: ceramics polluted water cleaning, beverage, disposal of sewage water, filtration of corrosive liquids, etc. Filtration of solid: glass, coal, food processing industry, etc. Filtration of oil: petroleum, oil refining, hydraulic oil, edible oil filter, etc. Looking for ideal Metal Mesh Filter Disc Manufacturer & supplier ? We have a wide selection at great prices to help you get creative. All the Metal Mesh Filters are quality guaranteed. We are China Origin Factory of Filter Disc Screen. If you have any question, please feel free to contact us.